They tried to make me out to be insane in their real Witch Hunt, in their raising up of the Low – to the Heights! After bringing me down, Trump is elected President. This is High Drama – a Greek Tragedy! How about Fellini and a Roman Carnival? I just found the Maypole these Wiccans dance around. 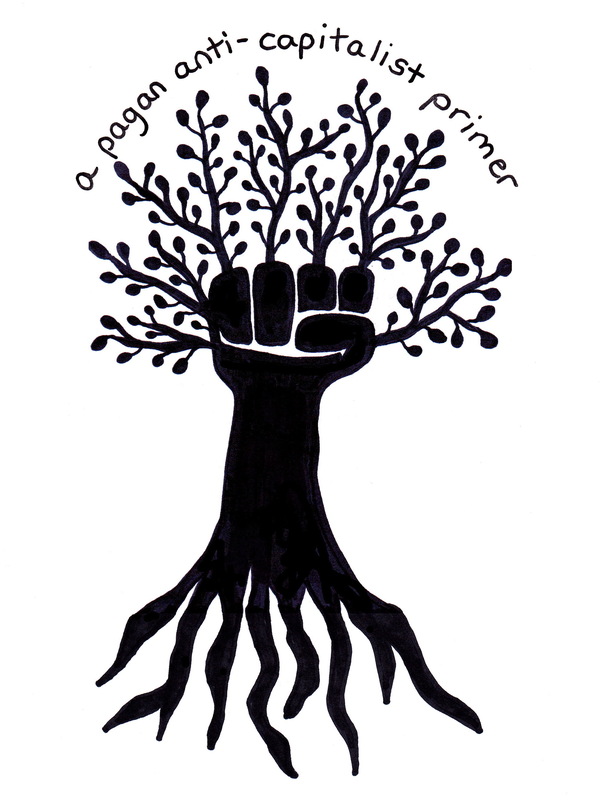 It is a Pagan Tree with clenched fist! BINGO! This is why these Pagans broke away from OCCUPY and founded SLEEPS , who (Whoville) will one day come to sleep under this Tree of Pagan Hope! This is why Belle did not ask me to be one with them at the Wandering Goat – after seeing we were on the same path! Well, not quite! These Wiccans read my Biblical stuff, and not understanding any of it, they were dismayed. They concluded their job was to separate my Pagan stuff from my Biblical stuff – for the sake of the Pagan Word Economy – that does not exist! That imaginary world was just planted in the ground. 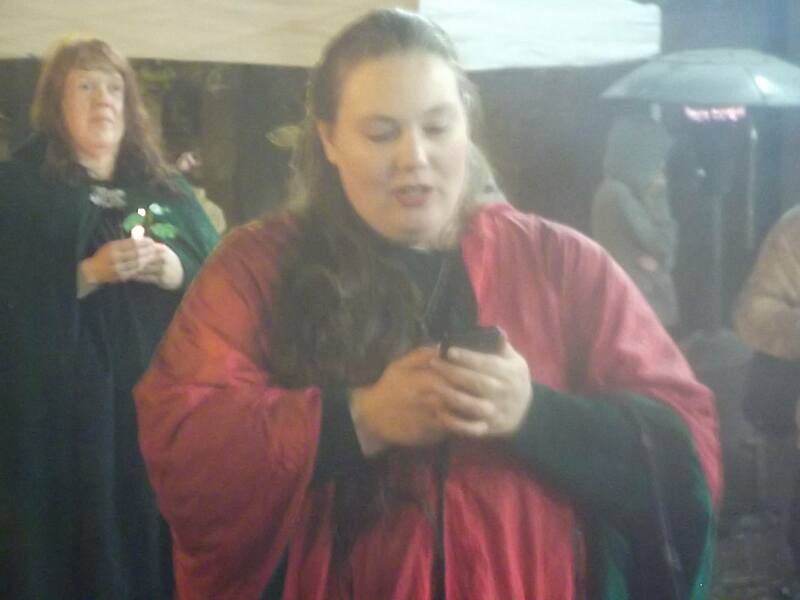 Emily Semple is their Jeanette Appleseed who may become the Pagan Council-Fairy of the whole goddamn downtown! They wanted a ZINE. What this proves, their need to found a Pagan World, came before their faux care for the homeless! They used the homeless, who know nothing about the hidden agenda ‘The Twelve’ are inflicting on the non-Pagan world they want to see fail, and thus, be destroyed! This is why they brought all those lawsuits, and cost Eugene hundreds of thousands of dollars. Alley Valkyrie read this, and went on the attack the next day! I anoint Belle the Goddess of the Birch Tree and Labyrinth. I have wondered if Alley threatened Belle. Now, I am almost certain of it. Why hasn’t the Nightingale Public Advocacy Coalition announced their mission? How long have they planned to put a Pro-Pagan Anti-Capitalist candidate in office? All candidates are obligated to say what their platform is. 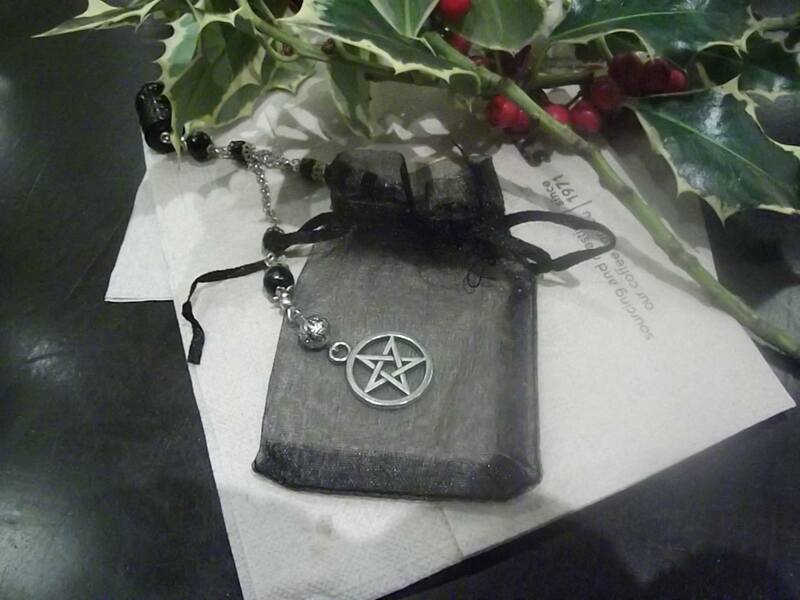 The only reason they have been so covert, is, they want funding, backers, and voters – and they know if We the People knew they were Wiccans and Pagans – they would not GIVE THEM ANY MONEY! This is why they targeted my blog, and did everything to destroy my credibility and reputation. THE IS A CULT, that Eugene Weekly has been backing for years because Wiccans and Pagans take out ads in their paper, and pay their bills. I admonished the Eugene Weekly for not following up on the leads I gave then, for not digging deep enpugh. I told them the publishing of this devious fabrication, put a target on my back, because I am a very visible, a known opponent to Gwendolyn’s Coven. To say an opponent holds a grudge, and thus set the Gwendolites up – IS OUTRAGIOUS REPORTING. What it does is get the Weekly off the hook, while encouraging a witchhunt for a Scapegoat. What would cause me to have a “grudge”? How about being hounded, then banned from many podiums. How many “proponents” had the Weekly reporter heard from, or, read on a site, that is closed to me? I will make sure the Real World of News Reporting gets wind of this – turd! Did the EW fear a rock was going to be thrown through their window – next? Cowards! Ninety percent of the Citizen of Eugene hate the downtown homeless, and their activists! They know it was a anti-development crazy who threw that rock. The Eugene Weekly AVOIDS that truth, their opinions. Outrageous! The Nightingale Public Advocacy Coalition has practiced stealth in all their affairs. They are as sneaky as they come! They have multiple identities – all given credence by the Eugene Weekly! Alley Valkyrie is an artist, small business owner, and tireless supporter of the unhoused. She currently lives in Portland and sells her handcrafted clothes and prayer flags at the Saturday Market. Since the Occupy Movement in 2011, she has worked “full-time without pay as an informal liaison between homeless campers and police” (Eugene Weekly) . She founded the Nightingale Public Advocacy Coalition with her partner, John Monroe. “Let me say first of all that I approve of the mere existence of this ‘zine, as well as Jason Pitzl-Waters’ Witchcraft Today – Witchcraft Tomorrow: A Manifesto, with which it makes a fine companion. The cover art is also excellent, and you can see more of Alley Valkyrie’s designs here. I see this work as both a visible manifestation of a lively artistic, intellectual, and spiritual community, and the beginning of an important conversation. Activist and musician John Monroe studied philosophy at the University of Montana and has recently attended graduate school in Europe. He was an early member of the Occupy Movement, SLEEPS (Safe, Legally Entitled Emergency Places to Sleep), and the Kesey Square Revival and founded Nightingale Public Advocacy Coalition with his partner, Alley Valkyrie. Louise Prevost moved to Eugene, OR, as a child in 1963 and attended schools here up to and including the University of Oregon, where she earned a BFA Degree. In the last five years she has been homeless or underhoused for various periods, and spent time staying at the Mission, couch surfing , and earning a roof over her head via pet- and/or house-sitting and as a live-in personal home-care aid. Her experiences have instilled in her a sense of urgent need to see that the rights and basic necessities of the most vulnerable people of our community are met through community action. Vickie Nelson is a retired librarian who has been a social activist since the 1970s when she was a founding member of Growers Market and of the alternative newspaper the Willamette Valley Observer . As a writer and editor she gravitates toward communication tasks in most of the groups she belongs to. She is currently an editor of The Eugene Occupier and a member of the board of directors of SPOT (Stop Pet Overpopulatt0n Now), a group that helps low-income people spay and neuter their dogs. She has been advocating for the unhoused for the last few years. 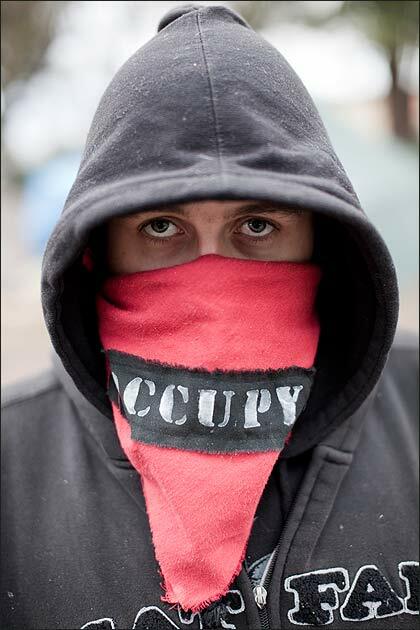 John McCahill joined the Occupy Movement in Eugene almost as soon as he heard about it. He organized the kitchen and kitchen volunteers , solicited donations of funds and food, and took on the massive task of providing several hundred meals a day and keeping activists and unhoused people fed. He is also a regular volunteer at the Egan Warming Centers. Emily Semple is a political activist, and a member of SLEEPS, who has been put herself on the line for Constitutional Rights to free speech and assembly many times. A self-employed graphic designer at Semple Design with an AAS from Lane Community College, she brings a dramatic flair to all her activities, serves as a Eugene Slug Queen, and works as a pastry chef at Ambrosia, a Eugene restaurant. Mary Broadhurst has been involved in community organizing, first in the late 70s and early 80s as a VISTA volunteer with the Jobs and Justice Project and an organizer in the anti-nuclear movement. More recently she has been involved with Occupy Eugene, SLEEPS, and the Whoville Coalition. She is an Egan Warming Center volunteer. Mary is a graduate of the University of Oregon School of Law and a practicing attorney . For over 20 years she has represented students with disabilities, ensuring that they receive the educations to which they are entitled under federal law. A highlight of her career was as co- counsel before the United States Supreme Court. She has mediation experience and extensive experience facilitating meetings with school district administrators and staff. In 2012 she completed a three day training in Dynamic Facilitation: Conflict, Creativity , and Community. She also has been trained through the intermediate level in Nonviolent Communication.